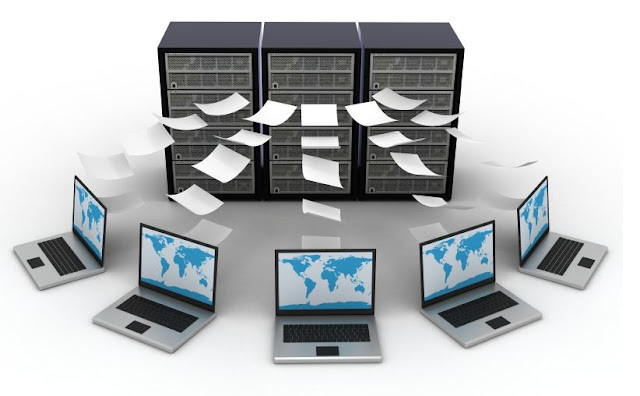 Shared web hosting is the most popular hosting solution purchased from hundreds of web host companies all over the world. The sheer size of the huge market of shared solutions often causes problems to customers since most people purchasing shared plans are new to web technologies, and usually do not know what to pay look for when choosing a good hosting package. Web hosting is a complex of functions and hardware features; thus, you need to understand some technical processes in order to find for a proper solution. The system is not complicated at all—you just have to keep in mind that the abundance of unlimited features awarded by a certain web host does not mean that their shared plan is exactly what you need. Of course, it would be great if you could just consult a web master who would explain what features you will need for this or that online project. If you don't have that option, read on to understand some key facts about shared hosting plans and choose a proper solution. Let's start with the basics. When you want to host a website on the web, you need some disk space that will be used for things like different code files, databases, and media. That's when you need a certain amount of disk space. Logically, the smaller your website is, the less importance this feature has. Now that you have hosted some files and made them into a website, you will want users to access that data. That's when bandwidth comes in. Imagine a tunnel: the wider the tunnel is, the more information can pass through it. Bandwidth works the same way. Many web hosts offer unlimited bandwidth but restrict traffic speed, which can also influence the performance of your website. Pay attention to bandwidth and traffic speed when searching for a good shared plan. Again, the bigger your website will be, the more disk space you will need. Additional hard drive security is very good, but typically this feature is not included in shared packages. Uptime is the time when your website works online and when users can access the site without any problems. It is usually measured in percentages from the total expected uptime (twenty-four hours a day, seven days a week). Of course, it depends if your website has to be online one hundred percent of the time.. Normally, if you purchase shared hosting, your project is not too big, so you don't really need 100% uptime. In such cases, the level of 98% is common. When choosing a hosting plan, do not pay much attention to what companies say about their uptime-- they only use best servers for their company website while you may get a worse one. Still, if you want to know the actual online rate, use some independent web projects to measure this number for you; likewise, you can check out some forums or ask you friends for advice. You also have to pay attention to different security features included in the plan, which will ensure better safety for your server. Be aware that most web host companies do not include pricey security options into cheap shared plans (for example, your server will be more secure if the package includes RAID, server backup, manual server restart, advanced network architecture, or other similar services). Support is extremely important. If you are new to web hosting, support will be your eyes, hands, and everything else. That's why we advise that you browse the web and check different reviews for information about support of your web host candidates. Also browse through forums where users discuss web hosting to give you an insider’s review. Why is support so important? When making your first steps in hosting management, you will have many questions, and many of them will require immediate answers--that's why the working speed of customer support is so crucial. Many web host companies include so many additional features into their shared plans that it's becomes a giant mess. They will offer some unlimited options, pre-installed apps, extra-fee services, and the like. Concentrate on the pre-installed apps, which are special widgets that help you create a website quickly and manage it more efficiently. One of the most basic apps is the control panel. If your shared plan includes a control panel, you can breathe a sigh of relief. Life gets much easier with one, as you will be able to control the most complicated server processes through a very convenient interface. The most popular control panel is cPanel, but some web hosts of will offer you an alternative — Zpanel, Webmin, Virtualmin, or even their own customized control panel (which is not always so good as it sounds). Now, most control panels have some apps and add-ons pre-installed, so you can switch some important functions on with only one click, like eCommerce tools such as payment instruments or shopping carts. You can also have a CMS like WordPress or Joomla available for quick automatic installation. Note that all those extras are only reasonable if you need them. If you have someone make you a promo website or a portfolio, most of those features are not necessary. Finally, we get to the sweetest thing about shared plans. Since the market of shared web hosting is so big, different companies try to attract more clients by offering free bonuses. Some of them will offer a free domain name, website transfer, site-building tools, or some other nice features. Of course, this great and convenient, so the more free bonuses you get, the better the deal. When it comes to free bonuses, the main item that needs your attention is the so-called “renewal fees.” What happens here is that the company will grant you the first year of domain usage free, but later on you will have to pay yearly fees. As always, examine the user agreement thoroughly if a company offers you free features. Choosing a shared package is very subjective. You have to spend some time considering the requirements for your website so that you know what features are priorities and what features are non-essentials. Remember to keep pricing and reliability at the forefront.Your web host must have a good reliability-price ratio.